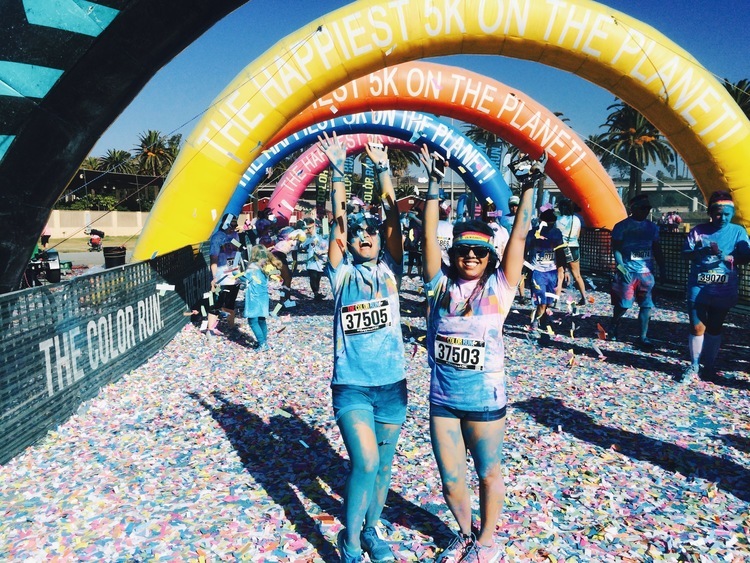 The Color Run: Happiest 5K on Earth! There are very few things in life I would wake up before the sunrise for. The first would be any flight anywhere out of LAX (5:15AM flight to JFK? No sweat! 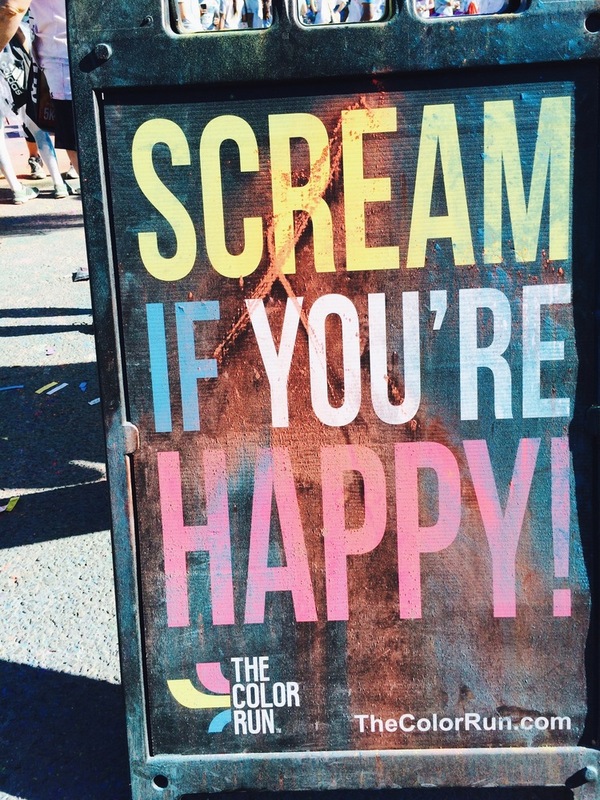 ), and the second would be the The Color Run. 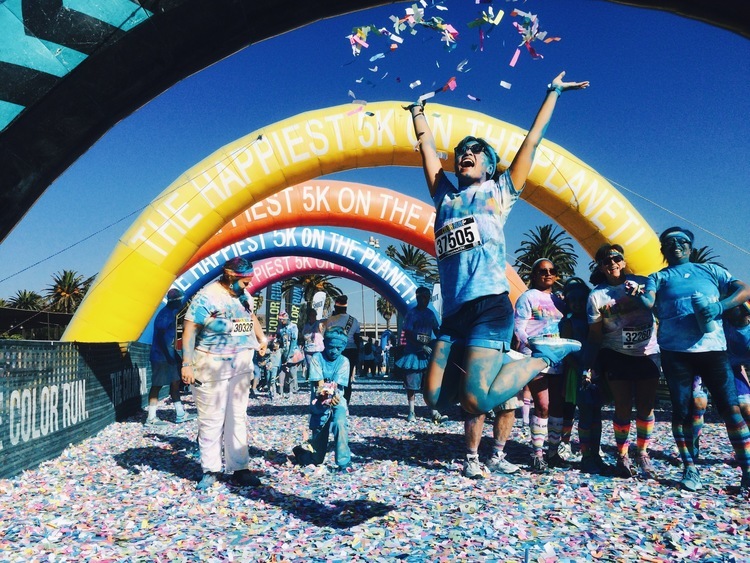 I first learned about the Happiest 5k on Earth two years ago after being invited by a few friends I’ve made while taking summer school in college. 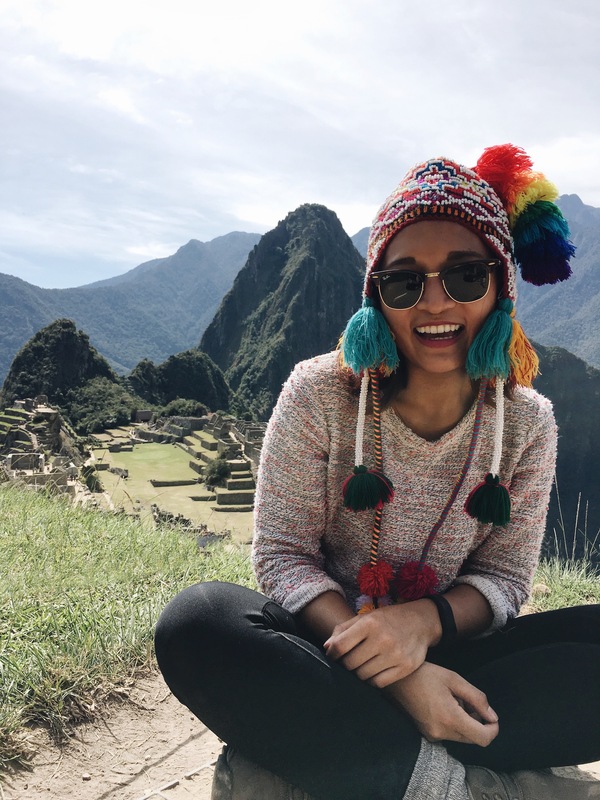 Needless to say, the event was nothing I’ve ever experienced before, and I knew that it was something that I would be open to doing again. 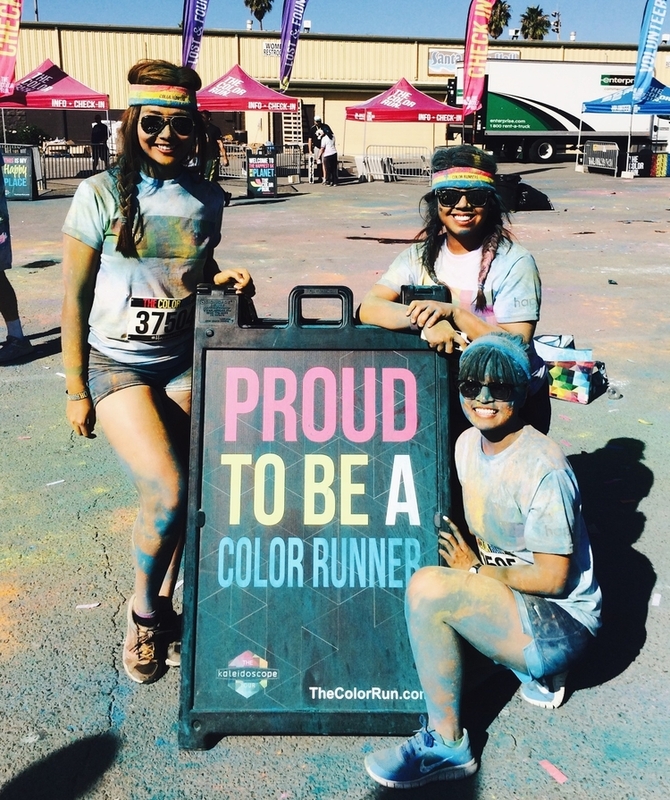 I was originally interested in attending the 2014 Los Angeles Color Run, which was held on June 21st, but it overlapped with my summer trip to Chicago. 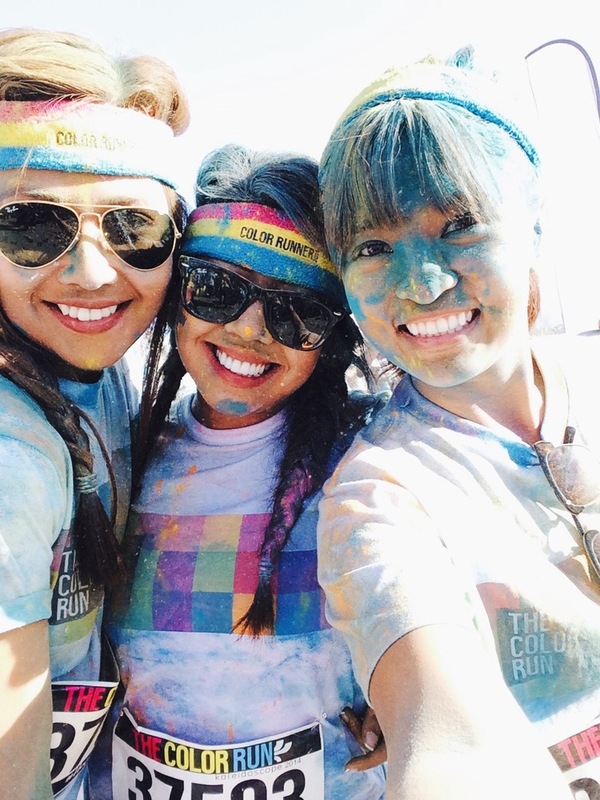 Fortunately, a few Color Runs were being held around Southern California, and I was able to attend the Ventura event yesterday with my two good friends, Justine and Joanna. I woke up at the ungodly hour of 6:00AM, and my girlfriends and I carpooled to Ventura at around 7:00AM. It only took 3 freeways (10 West, 405 North, 101 North) and hour drive from Los Angeles. The venue was at the Ventura County Fairgrounds, which was was relatively easy to access from the freeway exit. The event was well organized. Despite our late arrival, we had no trouble finding parking, checking in, and getting our Color Run goodies (t-shirt, headband, number bib in a cute reusable cross-body bag)! The course starts and ends at the Ventura County Fairgrounds, covering 5 kilometers (3.1 miles) total, weaving in and out of picturesque downtown Ventura. The “race” is not timed, therefore, participants are free to walk the entire length of the course (which is exactly what we did). He he he. 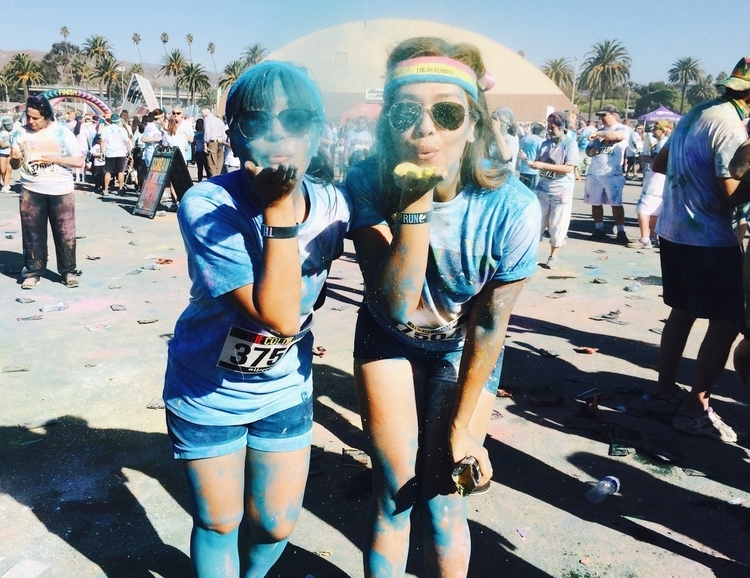 We wanted to savor each moment, and running the entirety of the race would defeat that purpose. 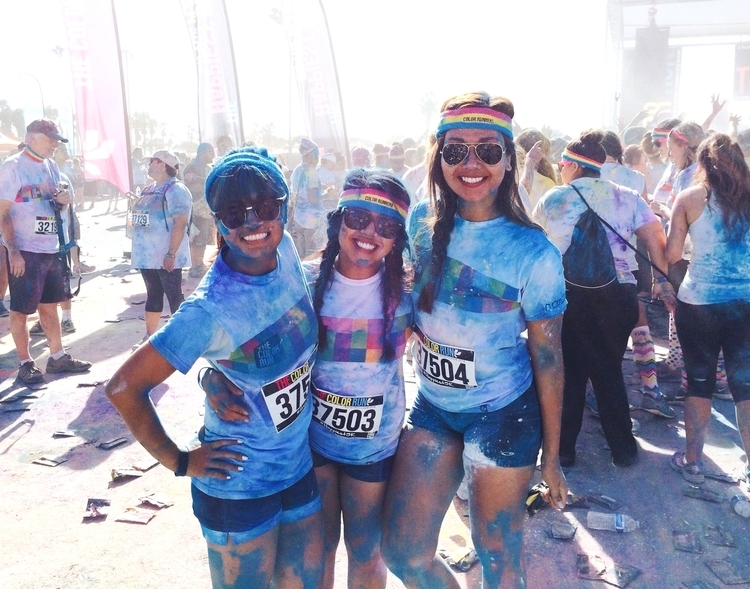 The goal was to be covered in as much color as possible. The color splashes occur approximately at every kilometer. Enthusiastic volunteers line both sides of the road, cheering while simultaneously throwing colored corn starch to all the participants. The first was pink, followed by yellow and purple and blue. The race is a kid-friendly event, so we encountered a lot of parents bringing their kids along, in strollers or wagons! Tutus were also highly encouraged! The finish line had thousands and thousands of confetti, so of course, we absolutely played with it! 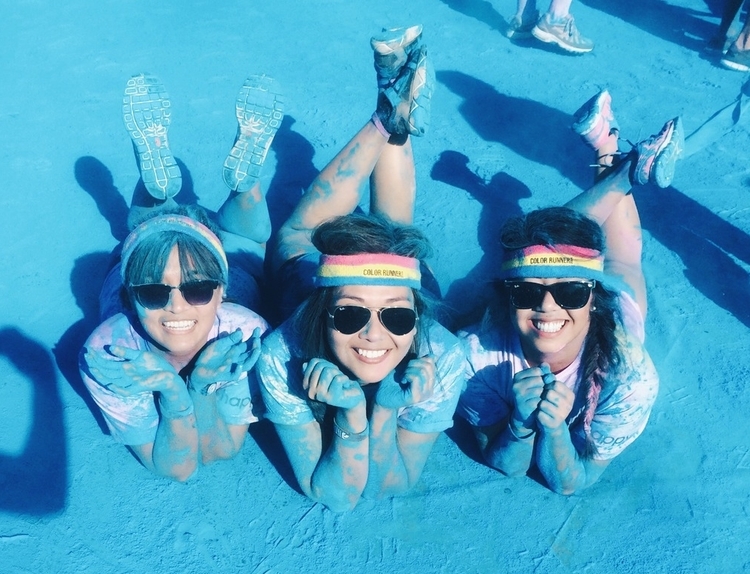 After being splashed with so much color, it’s difficult to suppress your inner kid at heart. Sea blue and green were definitely the most prominent colors on me. So much so that I could’ve been the love child of the Wicked Witch of Oz and Jake Sully, The Avatar. There was live music to be enjoyed afterwards, as well as free food. Sponsors like KIND Bars and Obeto had booths installed where representatives gave out free samples of their products! Yay for yummy granola bars and beef jerky! 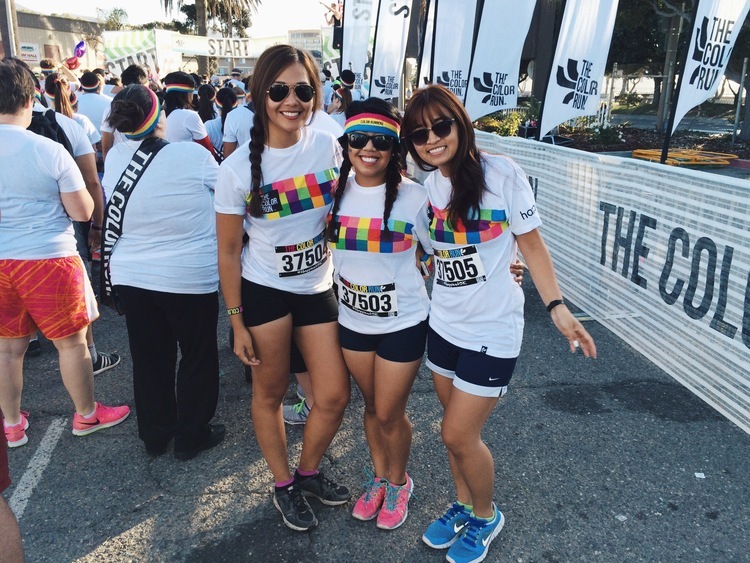 The Color Run is always a good idea, and I’m definitely planning on making it a yearly tradition to attend. Click play to watch my brief video diary below. My mad dancing skills included!